BLOOMINGTON, Minn. – Oct. 9, 2018 – The nation’s first hat trick of the season, the country’s top-scoring blueliner and freshman, and the NCAA’s busiest goaltender of Week 2 highlight our WCHA Players of the Week, Powered by GoodWood Hockey, for games of Oct. 5-6, 2018. The honorees are: University of Wisconsin juniors Abby Roque (Forward of the Week) and Mekenzie Steffen (Defenseman of the Week), University of Minnesota Duluth redshirt-junior Maddie Rooney (Goaltender of the Week) and St. 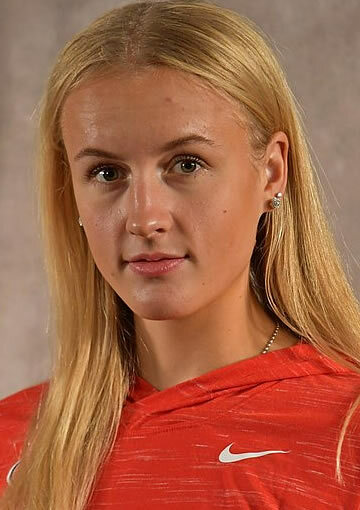 Cloud State freshman forward Jenniina Nylund (Rookie of the Week). Roque became the first skater in the NCAA this season (women's or men's) to record a hat trick, as the 2017-18 WCHA Offensive Player of the Year netted her first career three-goal effort in No. 2 Wisconsin's 6-1 win at No. 10 Mercyhurst last Friday. The junior from Sault Ste. Marie, Mich. scored a pair of first-period power-play goals, before adding an even-strength marker in the second stanza. She then added an assist in Sunday's contest, setting up Sophie Shirley's game-opening goal as UW completed the sweep with a 5-3 victory. Roque's three weekend goals were tied for the second-most nationally, while her two power-play strikes were tied for the NCAA lead. This is Roque's fifth career WCHA weekly award. 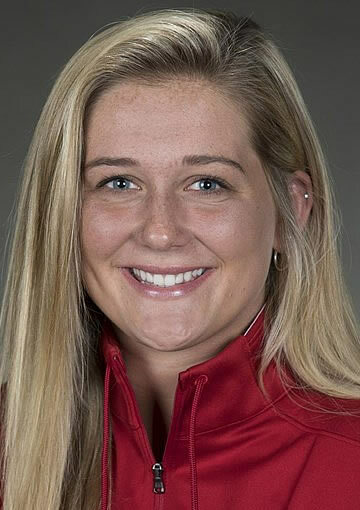 Honorable Mention: Charly Dahlquist, Sr., Ohio State (scored her first goal of the season and added two assists as the No. 5 Buckeyes split with No. 8 Colgate); Hallie Theodosopoulos, Jr., St. Cloud State (led the NCAA with four goals, lighting the lamp twice each game – including both regulation goals Sunday as the Huskies completed a sweep of RIT with an overtime win); Taylor Wente, So., Minnesota (scored back-to-back goals in the first period Saturday, including the eventual game-winner, as the No. 3 Gophers won, 5-2 at No. 4 Minnesota Duluth). Steffen tied a career high with three points in No. 2 Wisconsin's 6-1 win at No. 10 Mercyhurst on Friday, assisting on all three of Abby Roque's goals in the victory. In Saturday's series finale, Steffen scored a power-play goal that gave the Badgers a 3-2 lead en route to the 5-3 triumph. Her three power-play points on the weekend were tops in the WCHA and tied for the national lead, while her four total points also tied for the most among NCAA blueliners. This is the Centerville, Minn. native's first career WCHA weekly award. Honorable Mention: Jincy Dunne, RS-Jr., Ohio State (tallied an assist in both games and tied for second in the WCHA with seven blocked shots as the No. 5 Buckeyes split with No. 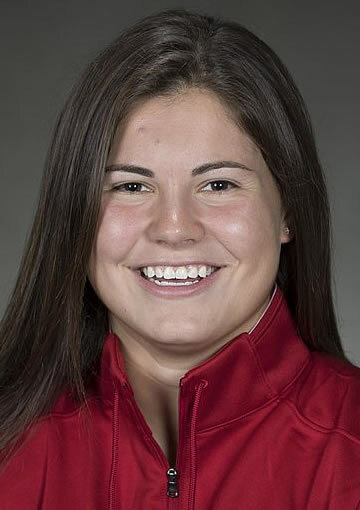 8 Colgate); Patti Marshall, Jr., Minnesota (recorded an assist in each contest, including the tying marker in game two, and blocked five shots to help the No. 3 Gophers earn four road points at No. 4 Minnesota Duluth); Abby Thiessen, Jr., St. Cloud State (after picking up an assist Friday, scored the overtime winner Saturday, lifting the Huskies to a 3-2 win and sweep of visiting RIT). Rooney repeats as Goaltender of the Week after facing an NCAA-high 85 shots and leading the country with 78 saves, more than double the stops of any other WCHA netminder last weekend. The junior from Andover, Minn. played a league-high 125:00 and, after helping No. 4 Minnesota Duluth pick up a tie against No. 3 Minnesota on Saturday, she stopped both shootout attempts to help UMD secure the extra league point. Rooney made 41 stops Friday and another 37 in regulation and overtime Saturday, ensuring the Bulldogs earned two points despite being outshot by 37 on the weekend. This is Rooney's second WCHA weekly award of the 2018-19 season and her fourth career honor. Honorable Mention: Sydney Scobee, Jr., Minnesota (in her first WCHA game as a Gopher, made 23 saves on 25 shots Saturday in No. 3 Minnesota's 2-2 tie on the road at No. 4 Minnesota Duluth). Nylund tied for the NCAA rookie lead with four points last weekend and tied for second among all skaters with four assists, helping St. Cloud State to a sweep of visiting RIT. The freshman from Pietarsaari, Finland set up all four of Hallie Theodosopoulos' NCAA-best four goals. She had the primary and secondary helpers, respectively, for Theodosopoulos' two first-period goals Friday, part of the Huskies' program-record six-goal outburst in the frame. Saturday, Nylund had the first assist on both of SCSU's regulation goals, including the tying marker with 6:55 remaining, as the Huskies eventually won in overtime, 3-2. 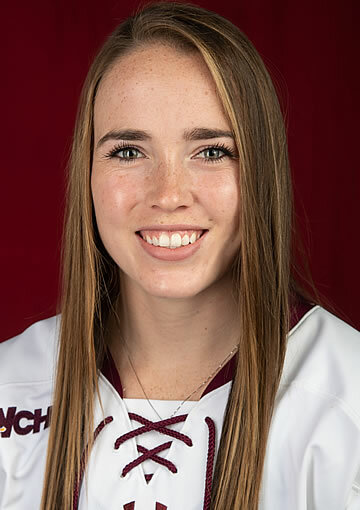 Honorable Mention: Gabbie Hughes, Fr., F, Minnesota Duluth (led WCHA rookies with her first two collegiate goals, then scored in a Saturday shootout to help the No. 3 Bulldogs earn two points against No. 4 Minnesota); Sophie Jaques, Fr., D, Ohio State (notched assists in both games, had eight shots on goal and two blocked shots as the No. 5 Buckeyes split with No. 8 Colgate); Catie Skaja, Fr., F, Minnesota (scored her first collegiate goal on her lone shot of the series, giving the No. 3 Gophers a 2-1 lead Friday en route to a 5-2 win at No. 4 Minnesota Duluth).